Our little woodland friend is here to remind the little learner in your life that B...is for Bear! Stood smiling against a turquoise background, his greedy little hand fresh from dipping in the honey pot, and with clear text displayed in a contrasting violet means that an alphabet reminder is always gentle and effective, thanks to this excellent mini-poster! 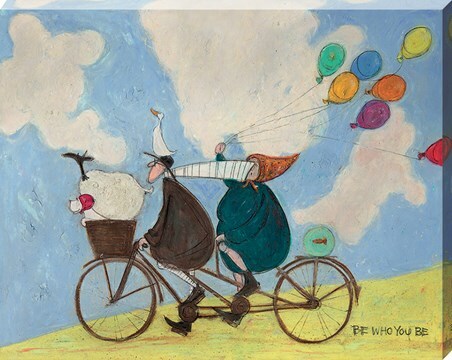 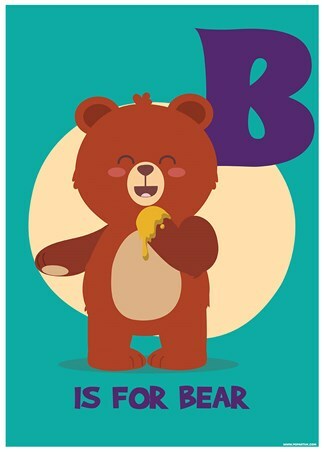 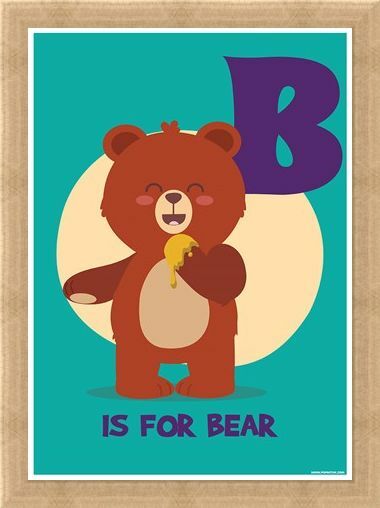 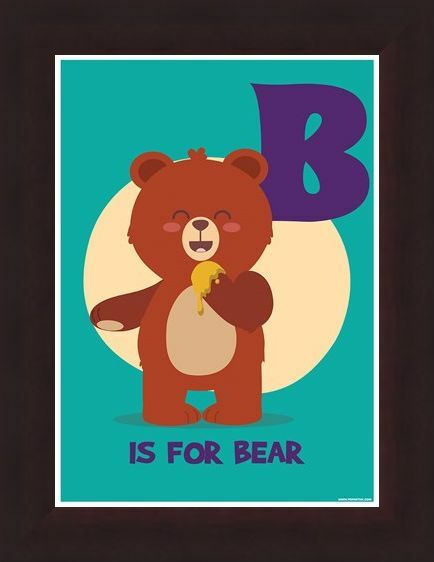 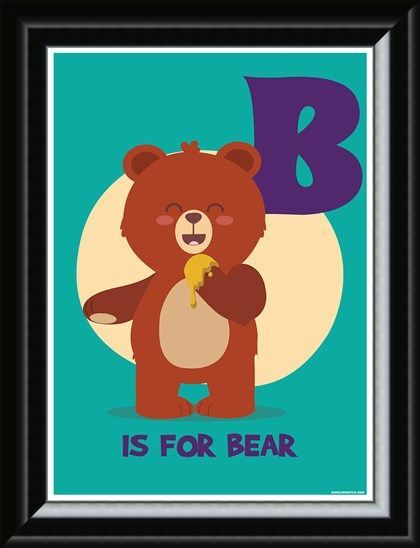 High quality, framed B...Is For Bear, Animal Alphabet mini poster with a bespoke frame by our custom framing service.